The manufacturing industry is undergoing profound change. As a result of new design and production technologies, increasing competition and cost pressures, as well as the globalization of markets, companies are increasingly demanding greater flexibility, faster adjustment and maximum efficiency. Only those who understand these changes can secure competitive advantages and expand the profitability of their company. Visit Autodesk at Hall 25, stand A14 to learn how to machine, print, inspect and fabricate parts efficiently. Experience advanced milling, robot milling, mold & die, cloud based manufacturing, automated CAM, integrated CAM, nesting, inspection, industrial 3D printing and mold analysis. You will see our complete line of software manufacturing solutions including: PowerMill, FeatureCAM, PowerInspect, PowerShape, Netfabb, Moldflow, Fusion 360, HSMWorks, Inventor HSM, and TruNest. Please find below some of the most exciting highlights Autodesk will present at EMO. Brand new: Fusion 360 Production. At EMO 2017, we preview this brand new production management tool. You will be as excited to see it as we are! Combine production planning, job tracking, and machine monitoring with the Industrial IoT (Internet of Things). 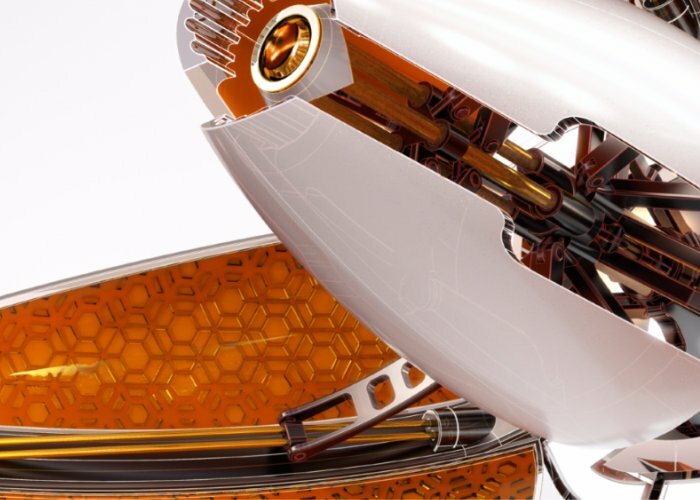 Digitize your production processes with cloud-based Fusion 360 Production software. Get real-time visibility and instant access to your data in a single cloud-based platform. Use data-driven insights about production performance. Make decisions to improve overall equipment effectiveness (OEE) and operational efficiency. View work in progress (WIP) in real-time, across production. Understand capacity, investigate bottlenecks, and improve quality rates. Plan, track and analyze production in a single platform. Incorporate data from production back into planning and part programming to improve throughput. The cloud enables fast deployment and enables quick response times to changes in production and demand. Become more agile to improve operational efficiency. One of them is the BAC Mono Art Car. While not as extroverted or striking as other art cars, this example does mark the first time a car’s aerodynamic simulation has been visually represented across its body. The original part of this car´s steering upright weighed almost 1kg. Re-designing it to have an internal lattice structures gave a part with equivalent strength, but almost 60% lighter! Autodesk Software massively contributed to this achievement. Come and see both amazing samples of modern manufacturing at our booth: the BAC Mono Art Car as well as the steering upright! See and learn about this terrific solution - at our booth at EMO! Here is another great example of what has been created using latest techniques. 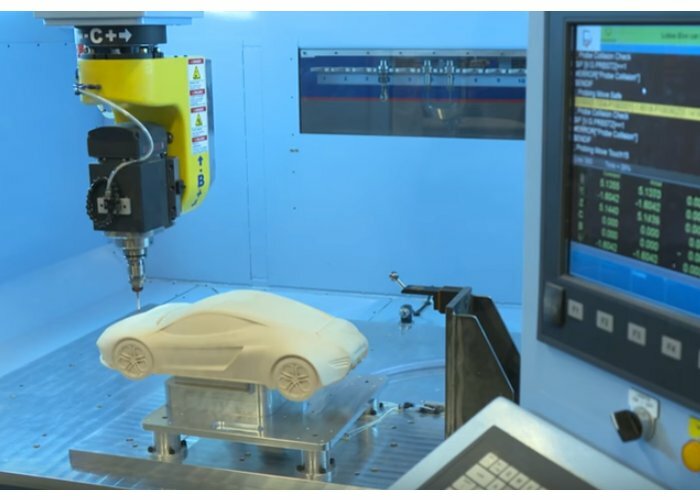 As a main software partner, Autodesk has played a key role in developing RAMLAB’s innovative hybrid manufacturing approach, which entails combining additive and subtractive manufacturing. 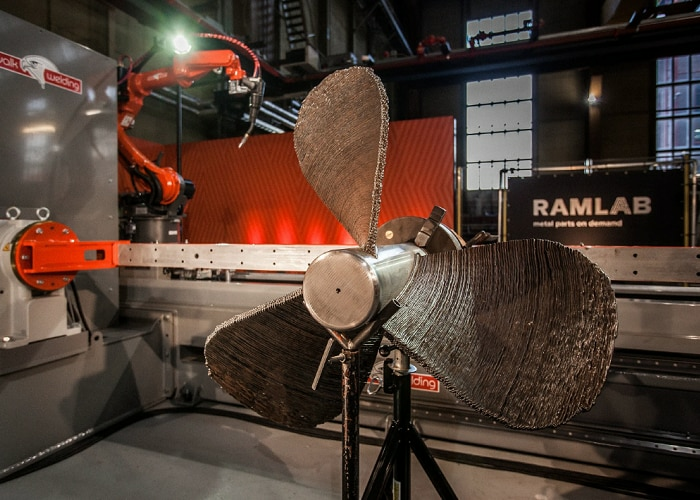 This style enables RAMLAB to pursue faster fabrication options: 3D printing large ship components in metal and then finishing the pieces using traditional CNC milling and grinding methods within a matter of days, saving time and money without sacrificing precision or performance. Clay Milling Utility for PowerInspect provides powerful functionality for clay modelling applications: Probe calibration strategies and alignment methods specifically for clay modelling applications as well as powerful and intuitive editing and mirroring of digitised curves streamline the marking out process with guidance to curves or points, from digitised data or CAD. At EMO, we´ll demonstrate such a Clay application. PowerInspect® software makes inspecting complex free-form surfaces simple, across all your inspection hardware. Use the right tools for the job, with one interface on all devices. What to consider when selecting CAM software? In fact, it does not have to be difficult. When utilizing CAM software, one of the common requests is why can’t it be more automatic. Are you focused on the right kind of innovation? Innovation is key to creating and maintaining a competitive advantage. Autodesk Blisk manufacturing enabled a remarkable 51% saving in milling cycle time and 45% reduction in milling cost. By definition, robots are machines created to make work easier, faster, more accurate, and safer for humans. Avoiding sink marks in plastic parts. This report explains how and why. For the MoldMakers on our page. Interested in Nesting and Fabricating? Check out our story with Watchfire signs and TruNest. The future of additive lies in combining additive and subtractive techniques for Hybrid Manufacturing. A sneak peek at EMO 2017, the worlds largest metal working show in Hannover, Sept 18-23.